Indu Malhotra is the first woman lawyer to be elevated directly to the position of Supreme Court judge. Indu Malhotra's appointment as a Supreme Court judge was fraught with controversy as the government had earlier refused to elevate Uttarakhand High Court Chief Justice K.M. Joseph and promoted her instead. However, no amount of controversy could take away from her the feat she had achieved. 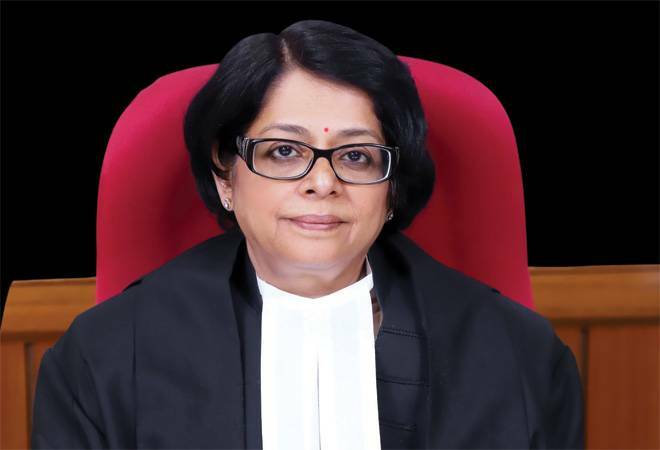 Malhotra became the first woman lawyer to be directly appointed as a judge of the Supreme Court from the Bar. She is also the second sitting woman judge in the apex court - only six women had been there before Malhotra came in. She was also the second woman, after Leila Seth, to be designated as Senior Advocate in the Supreme Court. Hailing from a family of legal practitioners - her father late O.P. Malhotra was a senior advocate in the Supreme Court, and two of her siblings are practising lawyers - Malhotra is not new to such achievements. She specialises in arbitration and has appeared in many commercial arbitration cases in India and abroad. She has also been empanelled as an arbitrator on forums such as Singapore International Arbitration Centre, Indian Council of Arbitration and Delhi International Arbitration Centre. She was a member of a high-level committee formed by the Law Ministry in 2017 for reviewing institutionalisation of arbitration mechanism in India. The committee submitted its report in August last year. She also served on the board of examiners for the Advocates-on-Record Exam. The board was formed by the Supreme Court and Malhotra was on it from 2013 to 2017. She was a trustee of Save Life Foundation since its inception in 2008 and continued until March 2018. Save Life is an NGO that works on road safety and emergency medical care across the country.